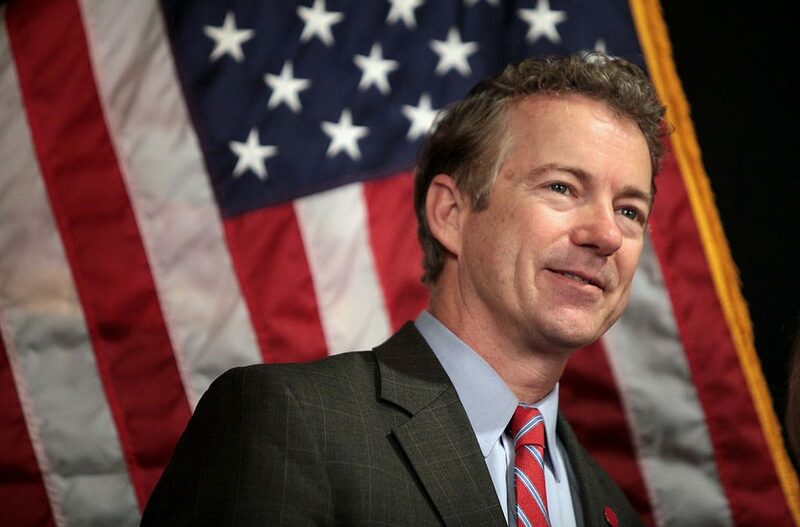 Sen. Rand Paul (R–Ky.) is hailing President Donald Trump’s decision to strip former CIA Director John Brennan of his security clearance. But the Kentucky Republican doesn’t think the president should stop with Brennan. In an interview yesterday with WKU Public Radio, Paul said he wants other ex-Obama administration intelligence officials, including former Director of National Intelligence James Clapper and former National Security Adviser Susan Rice, to lose their clearances as well. There is no sense stopping at Brennan when he has the rest or the traitors to feed him intel. What one knows, the other knows. Allowing them to have security clearances after knowing they were involved and continue to be involved in an attempt to overthrow Trump is akin to allowing your mortal enemy to stand guard over you armed with a lethal weapon and a safety route! They are, everyone of them lying, deceitful, treasonous, yellow, amoral people, who are solely motivated by greed and power. Strip them of any authority, benefits, clearances or other entitlements they have, including their retirements and wealth gained by nefarious means. The only reason most of them go to the news is because they can not give up the power rush from having secret secrets, powerful shakers and movers that is reinforced by sitting in front of a camera giving news (?) and laughing out the other side of their mouths as the audience worships their so-called mystique! Go through the list of Security clearance holders and if there is not “a need to know,” (is not assigned to position of national security) then the clearance should be terminated. The argument by inactive holders of clearances has been “If called upon due to a security matter, I can serve immediately. Such an argument practically implies that people in active national security positions at present are not adequate. And, that is the reason the swamp is full of inactive, or fired, former security officers who actually can demand higher incomes, based upon the value of holding a clearance whether active in security or not. Once a person becomes an ex-security officer, the security clearance should no longer be valid. If such people are reconsidered to work in national security, then they will have “a need to know.” Then, a security clearance can be reissued after qualifications are assured. When I was in the Army in the late 60s there was “nice to know, and NEED to know” Even if you had a clearance (which I did) you were not permitted to go shopping for what ever you little heart desired, unless you didn’t mind getting shot and court marshaled (if you lived). How do these clowns, that have been fired, just walk into secured areas and grab what ever they want. clearance of not. – The fools that are responsible for the security of the material should all be arrested and tried just like the kid in the Navy who took a picture of his bunk. And by the way he DID have a clearance. Mr. Paul. You and the Prez need to get together and make it clear,in no uncertain terms, that if you abuse your clearance you will spend some time in a federal prison. PERIOD!